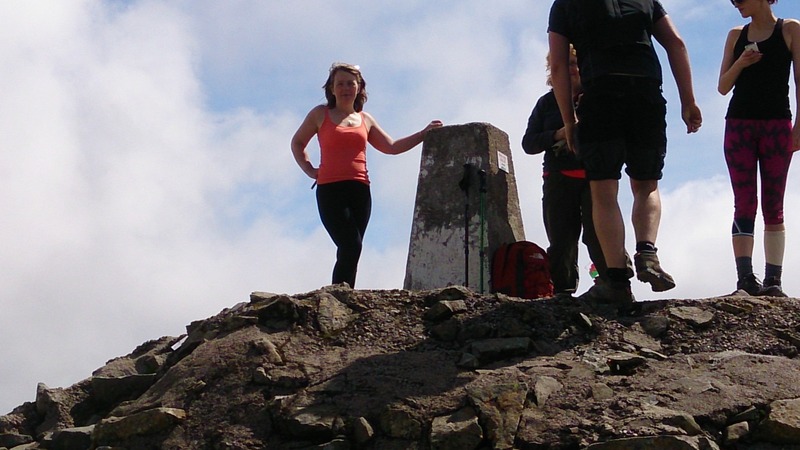 On Tuesday 17 June Lynn Bowe-Hooley, Client Services Manager at Hilary Meredith Solicitors Ltd, and her husband set out at 10.00am to scale Ben Nevis, the highest peak in Great Britain. Their 4 hour trek took them from Achintee Farm, via Red Burn and Five Finger Gully, and despite temperatures of up to 25 degrees they still encountered a large area of snow before they reached the summit. The soaring temperatures made the journey back down long and difficult with the mountain offering no shelter or shade with the heat rebounding from the rocks and terrain but they still completed the descent in a credible 3 hours and 45 minutes. Lynn said, “ The views from the top were truly amazing but the conditions on the way down were challenging making our journey a lot longer than anticipated. We were exhausted when we finally reached the base but it was worth it and we felt a real sense of achievement”. Lynn was sponsored for her Ben Nevis climb and all proceeds will go to Sanctuary for Veterans, Hilary Meredith Solicitors Charity of the Year. Sanctuary for Veterans aims to provide respite and support for injured ex-military personnel and their families to help them settle back into the community after being discharged on medical grounds.